With its basic concept: small silhouette & high impact,Calappa made powerful and various acts possible,that is exceeding the limit of surface cranking scene. 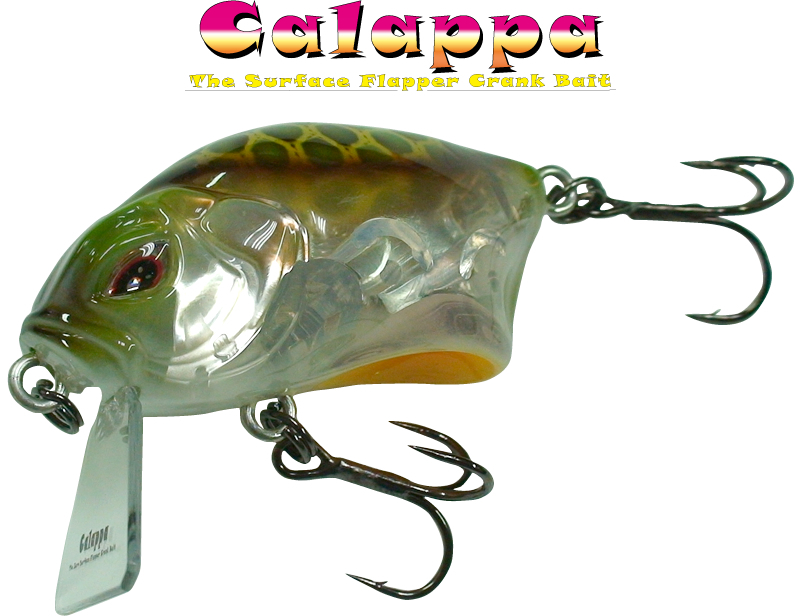 The cup designed under Calappa's belly,makes the strong surface cranking possible - you only need to reel. 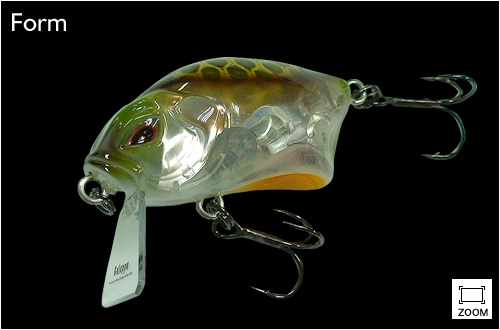 The adoption of original 1.2mm separate lips made the high speed and low speed retrieve,the performance of high response,and high pitch swing come true.